The Opium War of 1839-42, the first military conflict to take place between China and the West, is a subject of enduring interest. Mao Haijian, one of the most distinguished and well-known historians working in China, presents the culmination of more than ten years of research in a revisionist reading of the conflict and its main Chinese protagonists. Mao examines the Qing participants in terms of the moral standards and intellectual norms of their own time, demonstrating that actions which have struck later observers as ridiculous can be understood as reasonable within these individuals' own context. 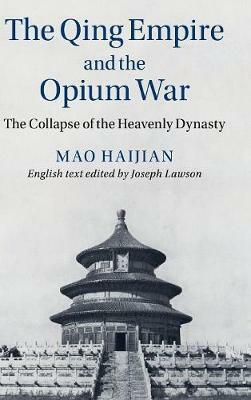 This English-language translation of Mao's work offers a comprehensive response to the question of why the Qing Empire was so badly defeated by the British in the first Opium War - an answer that is distinctive and original within both Chinese and Western historiography, and supported by a wealth of hitherto unknown detail.